Some of the news coverage of the recent Jamaica Bay Taskforce Meeting that addressed the recent plan to expand JFK airport by filling in and paving over the wetlands of Jamaica Bay. At the Jamaica Bay Task Force Meeting, held on april 7th, a packed house listened to a rebuttal of the seriously flawed RPA report that advocated JFK runway expansion into the waters of Jamaica Bay, as well as a number of presentations which highlighted the tremendous volume and diversity of marine and bird life in the area that has been so erroneously characterized as a “dead Zone” in the RPA report. In addition many in the audience were shocked to hear that the same planning group had recommended the same proposal in 1969 which resulted in a year long study by 35 scientists from the National Academy of Sciences. 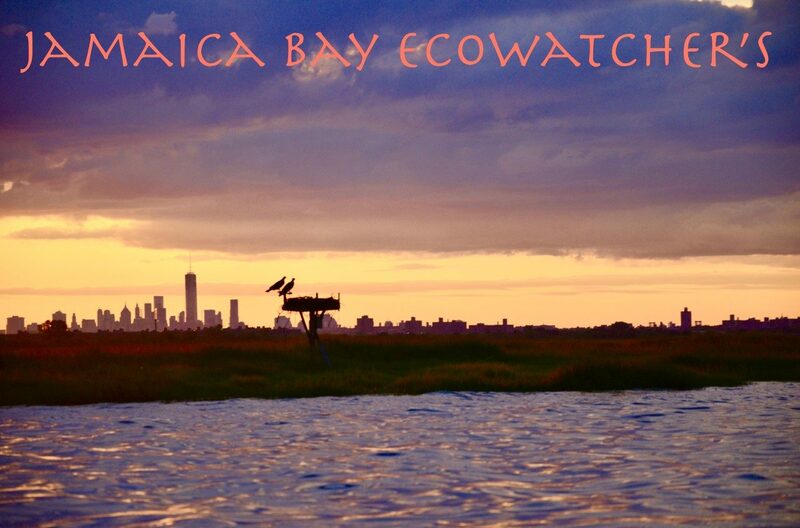 Their efforts produced the comprehensive report entitled : Jamaica Bay ; A Mulit Disciplinary Environmental Study which ,after looking at the proposal, the need for growth, the jobs created, the noise and environmental impacts and finally the value of this estuary of National Significance, came out with their recommendation. They indicated that there should be no effort made to take any action which would result in filling in of Jamaica Bay due to the importance of this Ecological Jewel. This information was omitted from the RPA report leading many to feel that this omission as well as the overinflated future projections of air passengers , and the failure to address the ability to expand the capabilities of Stewart Airport was due to an agenda that exists on the part of the Port Authority to build a case for the filling in and paving over of Jamaica Bay while ignoring viable alternatives. This entry was posted in Uncategorized on April 18, 2011 by Mundy.